Pip first came to prominence in 2004 when he had a popular television series called 'A brush with the Wild', with Anneka Rice. This programme was about Pip teaching celebrities how to paint wildlife and was filmed on location in both Kenya and Marwell Zoological Park in Hampshire. Pip has been the Artist-in-Residence at Marwell Zoological Park for over nineteen years. Pip has also made several DVD tutorials for Teaching Art Limited on wildlife painting and has organised nearly thirty safaris in the game reserves of Northern Botswana, North and South Tanzania and Kenya. Pip has been one of the judges for the BBC Wildlife Artist of the Year, where the prize was to travel with him to Botswana on safari. He has had many solo exhibitions in the UK, with his work being sold at many major international auction houses in the UK and overseas. He is also responsible for raising many thousands of pounds for a variety of wildlife conservation charities. 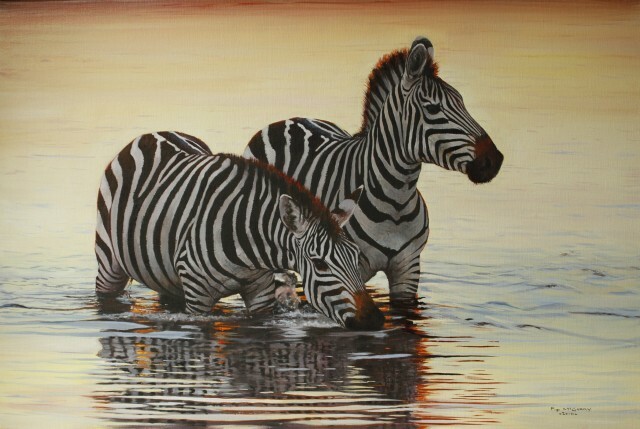 Pip is recognised as one of the world's leading wildlife artists and has an international reputation for his oil paintings of big cats and African game.